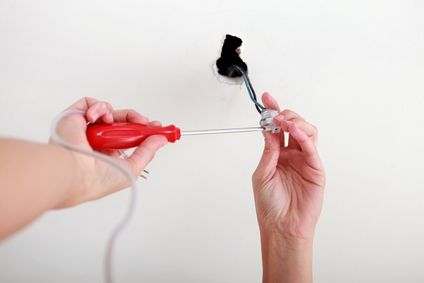 If your Pelham home has been experiencing electrical issues and you are on the hunt for a professional electrician to help you resolve them, you are in luck. Here at Advanced Electrical Company, LLC, are the local Pelham electricians of choice for home and business owners alike, and we are ready to help you with any and all of your electrical service needs. We offer a wide range of high quality residential and commercial electrical services, so whether you are looking for electrical repairs for your commercial property, thinking about upgrading the electrical wiring in your home, or anything in between, our team of experienced professionals can help you get the job done, and get it done right. When you are looking for the absolute best in your next electrical service, you can always find it right here at Advanced Electrical Company, LLC. For over 35 years now, our team of professional Pelham electricians have been providing local home and business owners alike with the quality electrical services they need to keep their properties running effectively and efficiently at all times. We understand just how important your electrical system is to the daily function of your home or business, and we understand the level of trust you are placing in us when you hire us for its service. As such, we work our hardest to ensure you always get the quality results you need to keep your electrical system running its best. If you have any questions about our full line of high quality electrical services, or if you would like to schedule an appointment for service with one of our specialists, give us a call today. Our team of experts are always standing by and would be more than happy to assist you in any way we can. Your Pelham home's electrical system is incredibly complex, and if you aren't entirely sure of what you're doing, it can be very easy to do more harm than good when attempting electrical work on your home, and that's not even covering the risk you are putting yourself at in doing so. Here at Advanced Electrical Company, LLC, our team of professional Pelham electricians can provide you with the comprehensive electrical repairs you need, no matter how simple or complex the issue might be, to help you restore your home to the level of safety and function that you and your family are accustomed to. I've used you guys for service nearly my entire PM career here in Birmingham and I appreciate you guys saving my bottom the other day with the lugs, and making it happen even though it wasn't profitable for you, nor really even feasible, and I wanted to share that info. I have a great amount of respect for your company.